Pleasu collectu here yany videos that show a star in makingu.. Come on yaar. Are you getting my point? Testing training for those that missed classes.. Are you yunderstanding or not? These were going viral on Whatsapp and Facebook. But will now quote this in those threads..
Now, on the guys and girls who are repeating after him. Jump to 13:55 on this MEK (Gult KBC) for the definition of Sodium Chloride. While, obviously the tennis player does not know her chemistry (she in fact thinks this is physics! ), 30 % of the audience also are like her. Now, Jump to 59:30 and you will find "Thanks to Jagruthi Insititute of Enngineering and Technology". That is where the audience is drawn from. Now, the students of this Reddy could well have been these 'engineering students'. 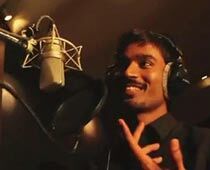 I posted earlier in 'so whats up' thread..
Vennu Mallesh is another star in the making. To give him credit he's adding a bit of fun to the extremely dry subject of QA. Not many people can make learning fun, so full marks for that, its just funny is all. I think the award should, hands down go to the “ Dhaniya” - our super-most bhunkus maker Dhanus,.. who even made the entire world fool very efficiently with that super-most bakhad-jantar, a plain K H A P A T , that ever sailed seven seas before,… with that fakking and freaking Kolavarii di,.. Kudos and Congrats for that to our “Dhaniya”. And OMG,.. in the movie the song even looks so reinji-penji, that I wish my street-sweeper Ratan Bhangii, may perhaps had acted and portrayed it a looooooooooooooooooooooot better,.. I doubt no one can do it such successfully and efficiently, with such a rubbish and 2 cents values of efforts, studios and rubbish glow-glamour face, personality, wordings and music, lyrics, rhyme-rhythm,.. etc,..
Taher shar, imo is just a poor guy and a very poor reply to our Dhanus. Hats off to Dhanus. Uus ne kar diklhlayaa ! I would call it a super-most fattwaah of this century....that flied,..
Last edited by Jagmohan; April 11th, 2016 at 08:55 AM.